Those words are from the California Forward website and help instruct our interest and work in public accountability. The Auditor’s office analyzed nearly 3,000 cases from July 2014 through June 2015. They determined that 2,100 of those lacked sufficient information for investigation. For another nearly 700 cases, the staff conducted work—such as analyzing available evidence and contacting witnesses—to assess the allegations. In addition, the staff requested that state departments gather information for 47 cases to assist in assessing the validity of the allegations. Ultimately the auditor’s staff investigated 44 cases with assistance from other state agencies and independently investigated 42 cases. The report details 10 substantiated allegations involving several governmental departments. The investigations found failure to seek competitive bids, failure to increase rental rates, waste of state funds, failure to properly dispose of surplus state property, an improper gift of public funds, and neglect of supervisory duties. Among the results was a finding that the California Correctional Health Care Services wasted $3.2 million in state funds and improperly paid $1.6 million in advance payments when it procured goods and services to upgrade the electrical infrastructure within state prisons beginning in 2011. The problem occurred, according to the Auditor’s office, because a master agreement was improperly used. In another instance, the state lost nearly $900,000 in rental revenue from July 2012 through September 2014 when the Department of Transportation did not increase rental rates to reflect the fair market value of state land rented by wireless communications companies. On a related matter, CA Fwd has long supported expanding whistleblower protection to legislative employees, the last group of public employees to be given this protection. 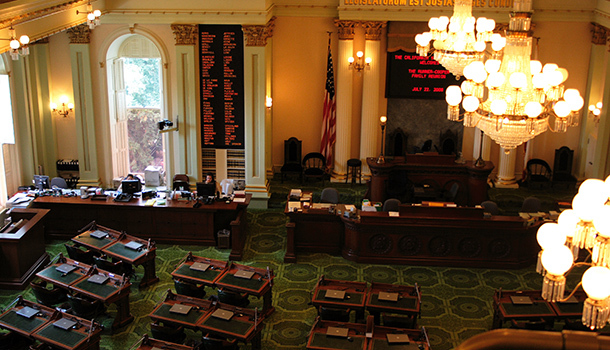 A bill allowing that--AB 289 died on Thursday.